Recent ATO communication and activity has highlighted the need for accurate record keeping when claiming motor vehicle expenses, particularly in relation to log books. In addition to a crackdown on all deductions claimed by individual taxpayers (including car expenses), the ATO has announced it will be targeting businesses that own vehicles and/or claim motor vehicle expenses to ensure deductions are being claimed correctly. Given the largest tax deduction for a car is usually obtained by using the log book method, below are some tips to ensure your logbook is current and valid. The objective of a log book is to determine the percentage that your car is used for business purposes. You need to log each business journey for a continuous 12-week period. This period should be representative of your annual business travel. You can keep the logbook for 5 years before you need to prepare a new one. For example if you have not completed a logbook since 2013, you must complete a new logbook for 2018. You can use the same log book if you replace a car, as long as you use the new car the same way for business use. You cannot backdate a logbook, it must be current. In most cases business travel does not include travel from home to a regular place of business, unless you have to significantly divert from your usual route for a work related task. Other records that need to be kept each year to use the log book method are car odometer readings at June 30, and receipts of car running expenses (except fuel which can be estimated based on annual kilometres travelled). For cars provided by businesses, the obligation to comply with the Income Tax and FBT laws is with the employer. As such the business owner needs to make sure they have log books showing private use of vehicles used by employees. Logbooks unable to be located. If a valid log book cannot be produced, the car expense claimed will be denied, resulting in additional tax and penalties for individual taxpayers, and significant FBT liability for businesses. Pre-printed logbooks are available from our office, stationery suppliers or you can create your own. 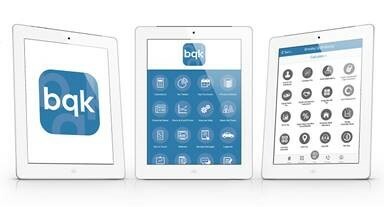 Alternatively an electronic version is available on the BQK App.